Article from Winnipeg Free Press on the importance of budgeting. “BUDGETING is a simple concept to grasp. We all understand that a budget is basically a plan so we don’t spend more money on expenses than we earn. Have you ever heard the phrase, “ignorance is bliss”? While this may be true for a short period of time, reality will catch up to you, sooner or later. Unfortunately when it does catch up with you, it will probably sting a bit. It is fairly easy to see the state of our own physical health, after all we look in the mirror every day. It’s not always as easy to see our financial health. It takes more effort to candidly assess your financial health. It takes courage to really look at your financial state and even more to commit to changing it. Do you carry over balances on your credit cards from month to month? Have your credit card balances increased year after year? Have you participated in a home equity loan or debt consolidation loan in the past three years for the purpose of paying off consumer debt, only to have consumer debt return? Do you schedule the payment of monthly bills around the receipt of your paycheck? Do you pay your bills and take care of all monthly expenses before you determine an amount for savings? Have you used credit cards or charge accounts to fund major events or purchases during the year, including holiday spending and vacations? Do you make major purchases based on the amount of a monthly payment rather than a cash purchase price? Have you borrowed money to purchase an automobile and then purchased a different one before the previous vehicle has been paid for? Do you constantly monitor your bank account balance to make sure you are not bouncing checks? Unfortunately this path is leading you nowhere… and coming to this realization is the first step to achieving true financial fitness. 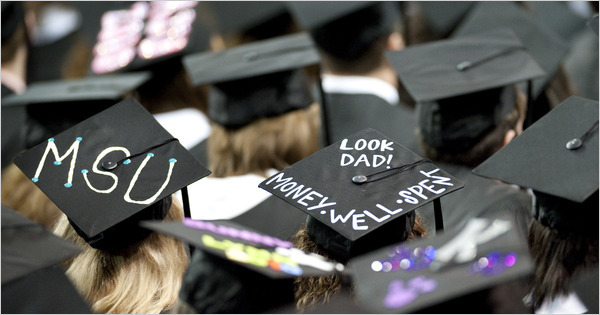 Great article from the New York Times on budgeting advice for new graduates entering the job market. In Applied Principle 1 of Money for Life, we learn that the financial path of many Americans is one leading directly to disaster. In order to find personal financial success, you must get off this path and onto the path least traveled. Get out of the overspending cycle. Get out of the habit of relying on credit to get by. Take control of your money. Make a conscious decision to change your spending habits for the better. Follow along as we progress through each of the Applied Principles from Money for Life and learn the path to financial fitness. Get on the path least travel and take back control of your financial future. This video is for our members still grappling with how envelope budgeting is different from “traditional” budgeting. Nick Lashley, Money for Life Coach, talks about the core principles of Envelope Budgeting: creating a spending plan, funding envelopes, and performing envelope transfers to cover overspending in any single envelope.